New moorLDI2 blood flow imager now shipping! 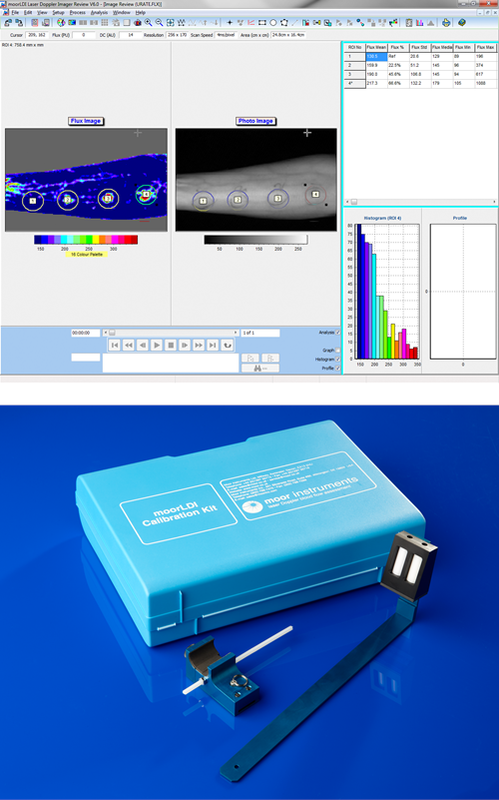 Home Neuigkeiten Products & Software New moorLDI2 blood flow imager now shipping! We are proud to announce that the moorLDI2 2014 laser Doppler blood flow imagers are now shipping! This is a moorLDI2 News Special to explain the new features and benefits. The entire system has undergone a comprehensive year long review in order to refine and improve the optical/ hardware design and software interface. The units are shipping with new V6.0 software which features streamlined set up and configuration and the ability to run standard protocols for skin heating, iontophoresis drug delivery and pressure cuff assessments. Video: We have completed a video to highlight and summarise the key features and benefits which also includes a typical skin heating protocol where the imager is used to measure the response to heating. The video is available to view here. Applications: The majority of our users are looking at pre clinical research applications such as hind limb ischemia and other angiogenesis models, where the high resolution and superior penetration of moorLDI2-HIR is of particular benefit. Clinical research applications such as wound healing, vaso-active responses such as inflammation, ischemia/ reperfusion are often better suited to the moorLDI2-IR model which offers the flexibility of small or large scans (up to 50cm x 50cm). Please ask for your sales contact for the latest application notes relevant to your application or to discuss your ideas in confidence. What has improved? The 2014 moorLDI2 features digital signal processing (DSP) which has a much wider dynamic range than before. The hardware required to support DSP is physically much more compact with a reduced component count allowing us to build all of the electronic control and processing within the scan head, with USB only connections to laptop or PC. V6.0 software now features streamlined setup and configuration and also the ability to control protocols for pressure cuff, iontophoresis and skin heating assessments. Calibration: A new calibration protocol has recently been introduced for moorLDI2 to offer higher levels of reproducibility than before. To aid this a calibration arm is available to precisely position the calibration block at the correct distance and angle. First demo units are being placed with our sales teams, so if you would like to trial a unit in your lab or clinic or just find out more, we would be happy to make the arrangements!